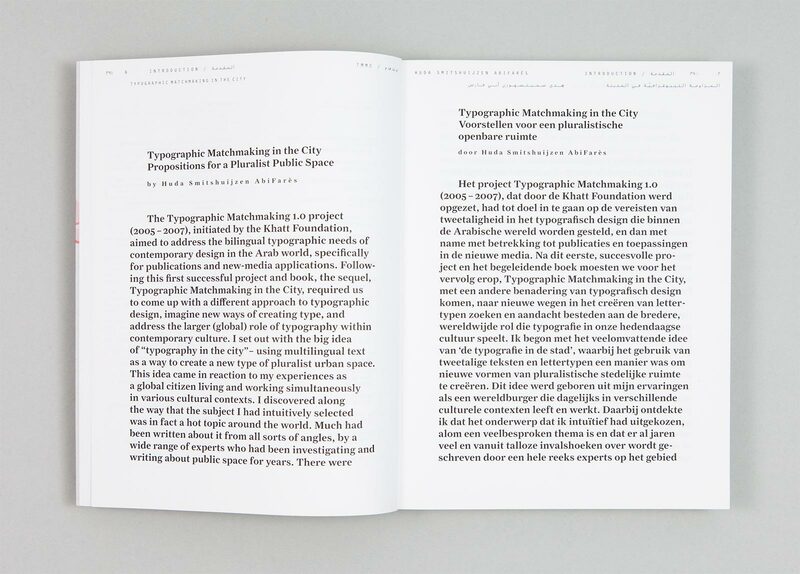 For the Khatt Foundation in Amsterdam, we developed the concept and the graphic design of the publication report of the “Typographic Matchmaking in the City” project. 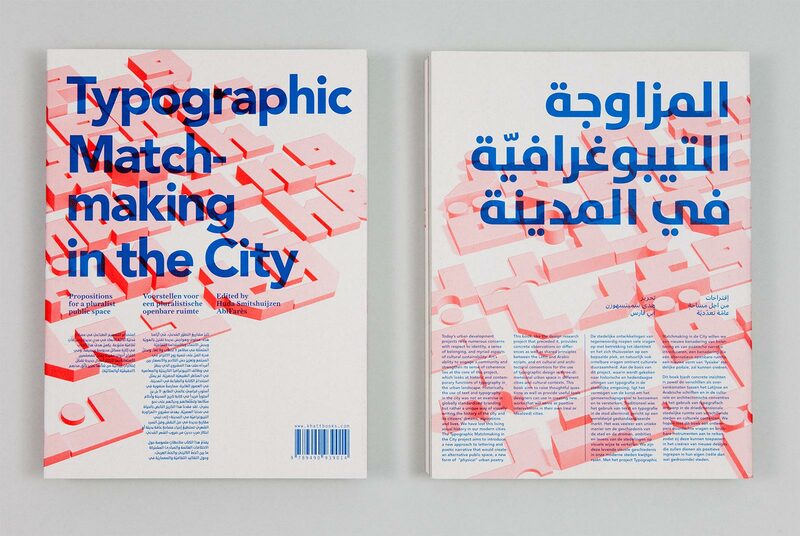 Five teams of type designers and architects/urban planner worked together between 2008 and 2010. 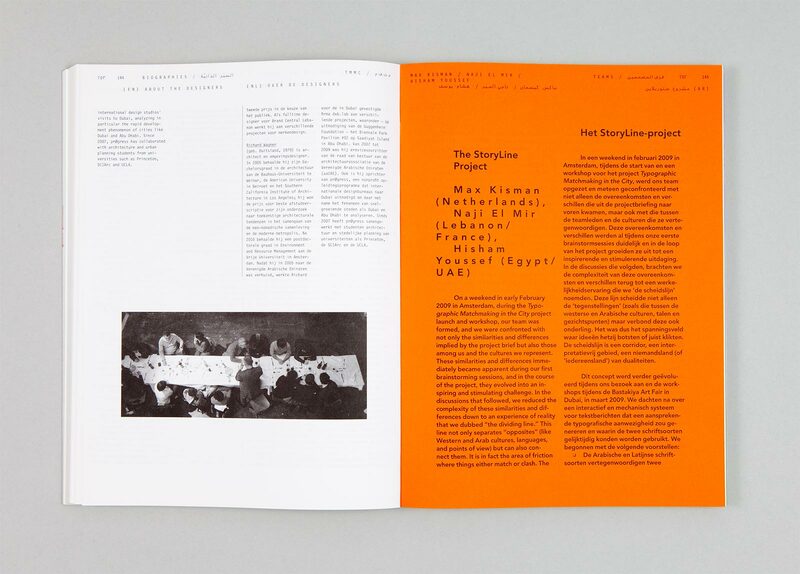 These teams created proposals for multi-lingual, multi-script typographic installations in public space. 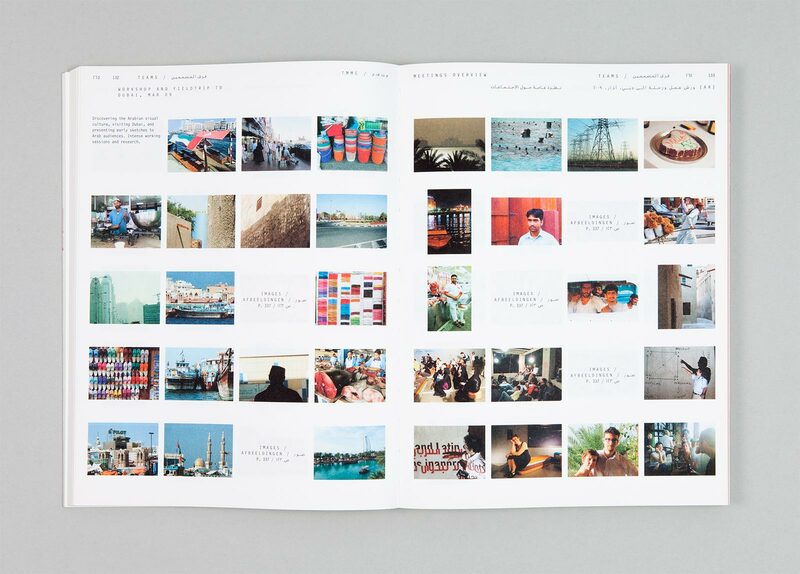 This 396-page-book combines these reports together with ten further essays, and boasts close to 1,000 illustrations, most of which document the teams’ processes. 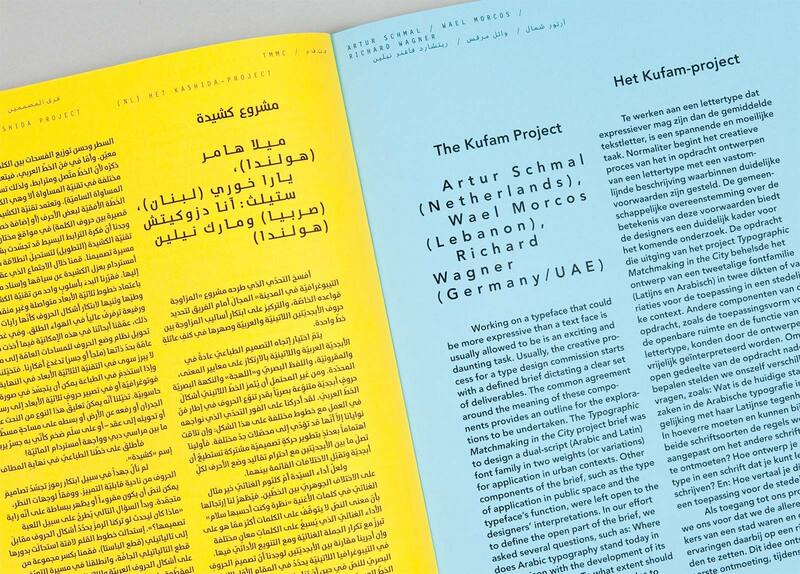 All text is available in three languages: English, Dutch and Arabic. 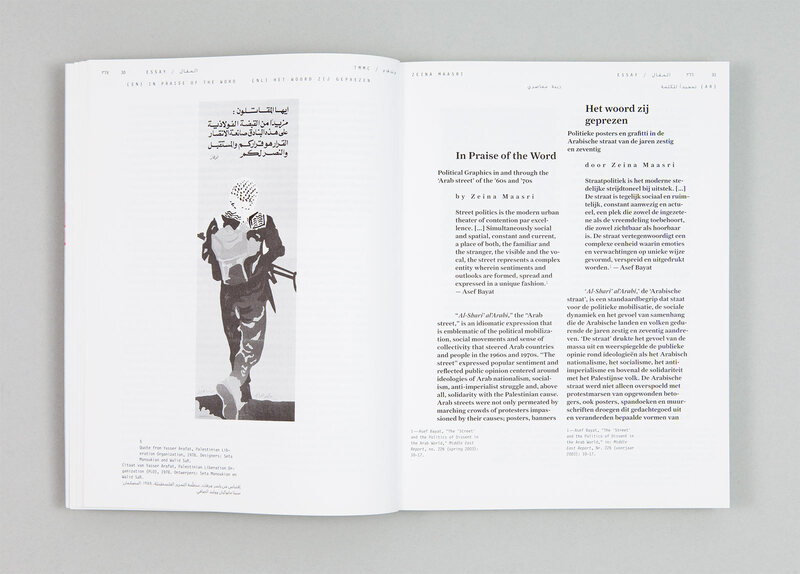 Since Arabic script reads from right to left, we decided to start the book from both sides, and as an instrument of “crossing borders”, like the whole project is, we decided to reference part of the image material to the “other” half of the book. 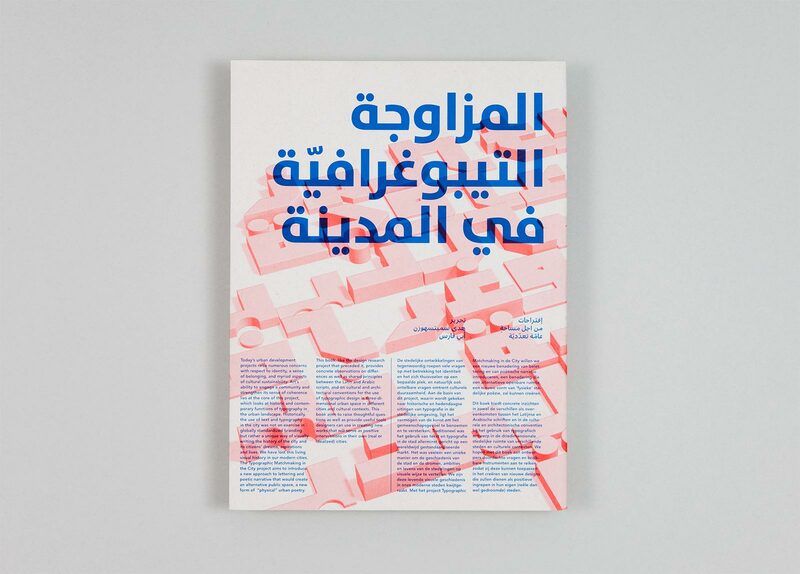 For Khatt Books, Amsterdam, 2008 – 2010. 396 pp., 21×28 cm. 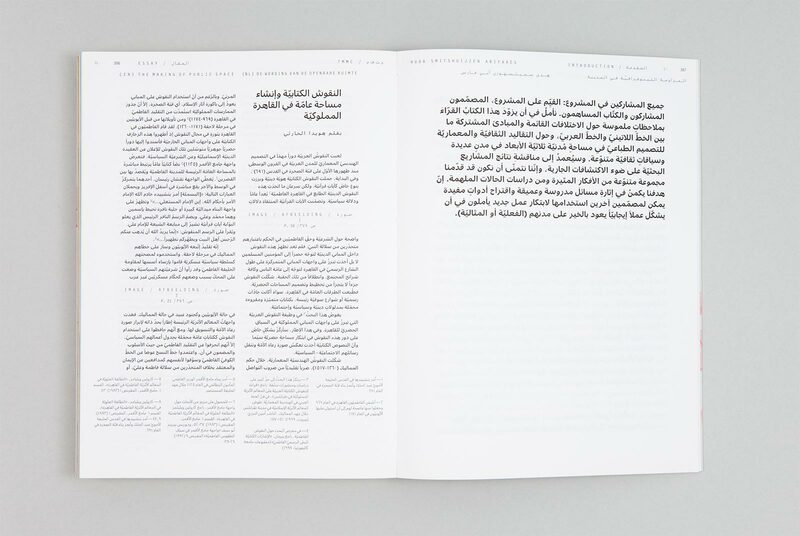 The Arabic text was typeset with Khajag Apelian.